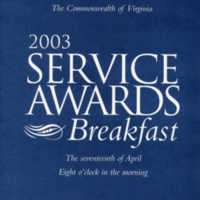 A program that lists individual receiving recognition for their service. 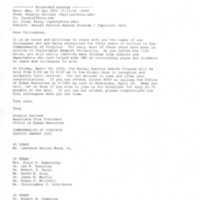 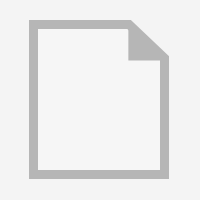 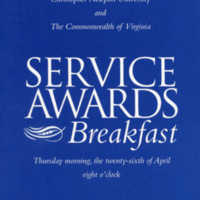 A memo that discusses the preparations that are being made for the Service Awards. 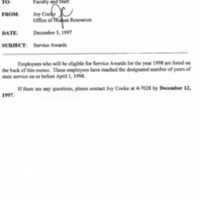 A memo that lists the employees who are eligible for a Service Award as of April 30, 1983. 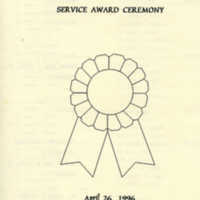 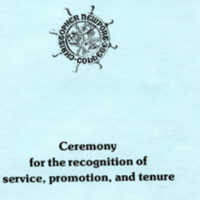 A program for the Service Award Ceremony. 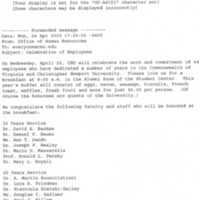 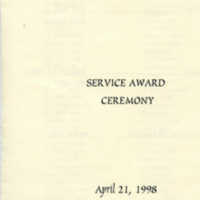 A memo that lists the employees who are eligible for a Service Award as of April 1, 1998.